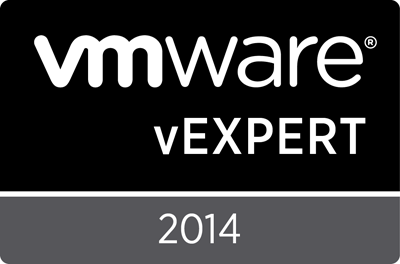 vSphere Beta now publically open! Well, looks like enough other people have talked about it, including a VMware Blog post (http://blogs.vmware.com/vsphere/2014/06/now-open-vmware-vsphere-beta-program.html) so I’m going to assume there’s no more NDA type stuff to worry about! The latest vSphere Beta is now available for the general public to join in on. Like with VSAN betas, you can now participate without being a vExpert, Partner, invited, or just otherwise getting lucky. This is a great way to learn and lab with the new releases, get up to speed on new features, and help work the kinks out. If you’ve ever vented or complained about how something needs to be better, this is definitely the correct forum for that feedback! “Future releases of vSphere strive to expand vSphere 5.5 with new features and capabilities that improve IT’s efficiency” – note this doesn’t say “vSphere 6.0” or “v5.6” or “v5.5.1” – so there’s no commitment on future version. “The vSphere Beta Program has no established end date and you can provide comments throughout the program. But we strongly encourage your participation and feedback in the first 4-6 weeks of the program.” – no commitment on when the beta ends, but… 4-6 weeks puts it mid-August, just before VMworld 2014, and right near a Sept 2014 release availability. Definitely worth giving it a try, get some experience with the features before they become mainstream. Head on over to the vSphere Beta site (https://communities.vmware.com/community/vmtn/vsphere-beta) and sign up!